Triacylglycerols (TAG) are fatty acid triesters of glycerol; there are diverse types of TAG with different properties depending on their fatty acid composition. 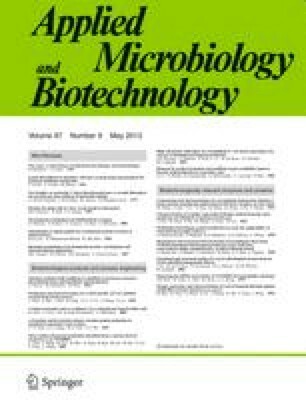 The occurrence of TAG as reserve compounds is widespread among eukaryotic organisms such as yeast, fungi, plants and animals, whereas occurrence of TAG in bacteria has only rarely been described. However, accumulation of TAG seems to be widespread among bacteria belonging to the actinomycetes group, such as species of Mycobacterium, Streptomyces, Rhodococcus and Nocardia. Fatty acids in acylglycerols in cells of Rhodococcus opacus PD630 accounted for up to 87% of the cellular dry weight. TAG biosynthesis, justifying an oleaginous status, seems to be restricted mainly to this group of bacteria, but occurs to a minor extent also in a few other bacteria. The compositions and structures of bacterial TAG vary considerably depending on the microorganism and on the carbon source, and unusual acyl moieties, such as phenyldecanoic acid and 4,8,12 trimethyl tridecanoic acid, are also included. The principal function of bacterial TAG seems to be as a reserve compound. Other functions that have been discussed include regulation of cellular membrane fluidity by keeping unusual fatty acids away from membrane phospholipids, or acting as a sink for reducing equivalents. In recent years, basic aspects of the physiology and biochemistry of bacterial TAG accumulation, and the molecular biology of the lipid inclusion bodies have been reported. TAG are used for nutritional, therapeutic and pharmaceutical purposes and serve as a source of oleochemicals.